The next golf ball brand up for review are those made by Dunlop. Each and every model of a Dunlop golf ball I review will be found on this post. Keeps things tidy. As with all of my reviews I play one round of golf at Rackham Golf Course near my house in Huntington Woods from the White Tees. At the end of the review the golf balls score is added to the leaderboard. 90 Degrees. Some Wind. Sunny. Before I play a round I do a little research on each golf ball. When I went looking for the DDH Deep Distance I could not find a thing. It appears there are no more Dunlop golf balls. Sumitomo Rubber Industries bought the Dunlop name and decided to make golf balls under the XXIO and Srixon names. You can find a DDH Deep Distance for sale on the internet as retailers are basically giving them away to move inventory. And the reason behind that is the DDH Deep Distance has to be at least ten years old. Yes, that means I found another unopened box of golf balls in my Dads old workroom that have been sitting around. 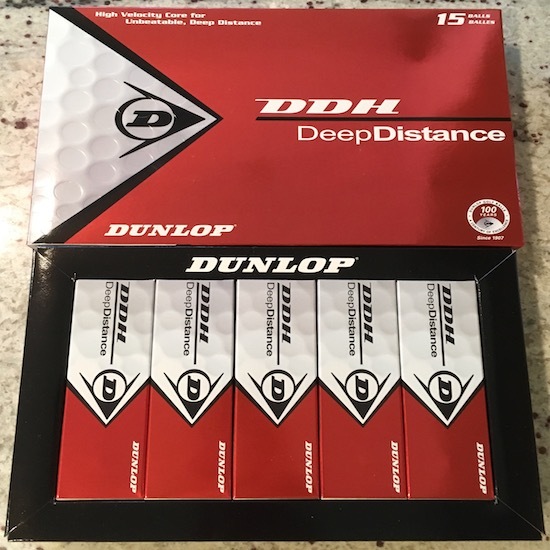 If you’ve been reading any of my other reviews you’ll pick up that nearly all of them are “Distance” golf balls. There is also a picture of 3-Time World Long Drive Champion Sean “The Beast” Fister on the box from when he looks to be in his mid 30s and not him at 53 years old. So these golf balls are old. But they are new and have never been played which passes the entry test. I remember playing DDH golf balls back in the day when I’d find one so maybe there would be some comfortability. And that’s really it. Straight to the point and simple. So lets see how we did. Off The Tee – Hit the fairway six times which is about average. Pushed one drive to the right. Outside of that I’d say it was a very average day of driving the ball. No draws but a lot of straight drives (good thing). There were no booming drives and was very little roll out. But in almost every situation outside of one there was an opportunity to go at the green from an ideal spot on each hole. And with these golf balls designed for medium to high swing speeds I did not have to over swing. Trajectory was mid to high in every drive. Fairway Woods & Hybrids – There was a tendency for the DDH Deep Distance to fly inside out but it did fly. On many shots it made that nice “crack” sound. Hit an amazing 5 wood from 200 yards out on the Par 5 14th to within 8 feet of the pin. This happened after over swinging and duffing my 3 wood from 250 yards out. Was just setting myself up for the ideal shot of course. Made the birdie putt too! Lets call it 8 feet out. 5 Wood from 200 yards. Didn’t hit a hybrid today but did chip with it. 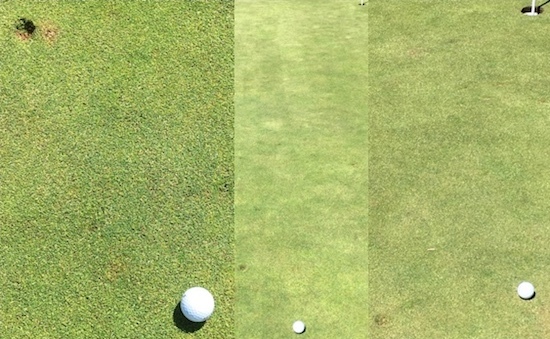 Irons – The DDH Deep Distance produced 7 Greens In Regulation which is about average. Was read hot on the front nine with 6 GIR’s. And that front nine was impressive. Put both approach shots to the Par 3’s within 10 feet and just about everything else had makable putts from 25 feet or less. What surprised me was the staying power and spin created from the DDH Deep Distance. This golf ball was hitting the green, jumping once or twice, and stopping. 9 Iron. 8 Iron. 7 Iron. Wedges – With me being fairly on with irons on the front nine there were not that many wedge opportunities. On the back nine there was a few including two times hitting out of the sand. 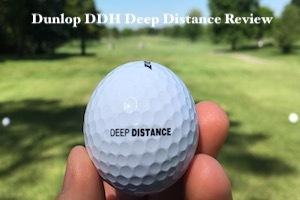 The DDH Deep Distance did not check up once on shots from the sand or within 25 yards of the green. Which was odd because of the spin created on full iron swings. I was thinking there would be at least some spin. Alas, I was wrong. 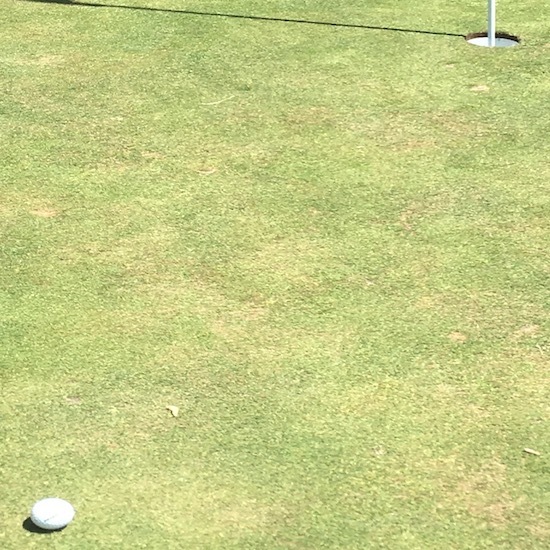 Putting – And this is where the DDH Deep Distance blew it. It did not have a nice feel coming off the putter face. 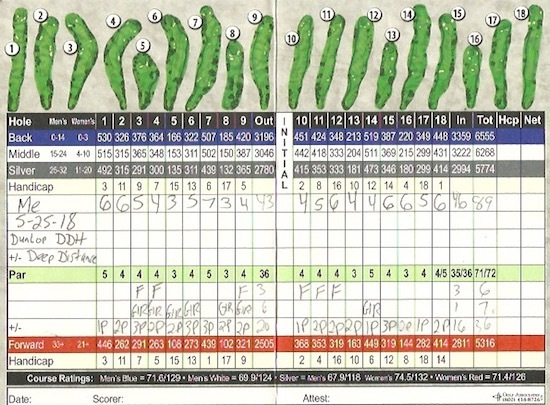 The scorecard says there were 36 putts which is a couple above average. 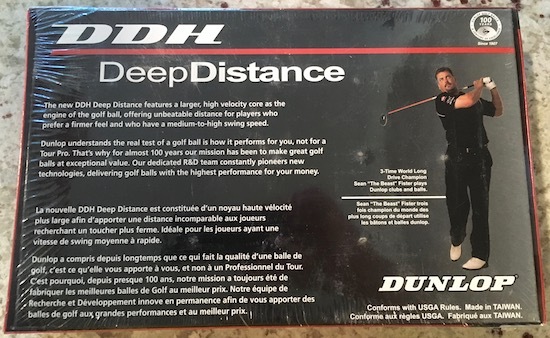 What is most disappointing about the DDH Deep Distance is it had the chance to make 6 legitimate birdies on the front nine and did not make one. Heck, it 3 putted twice from 20 feet. It did make one birdie on the back nine but man it could have done so much better. Durability – Barely a blemish. And that’s after smacking an oak tree on a one hop to the trunk with a 5 wood on the Par 3 13th. Many more rounds of golf could be played with it. Seeing how this golf ball is a decade old and not technologically advanced as newer golf balls I’d say it performed ok. In many ways I was most impressed by the spin created with irons and fairway woods. A comparable newer golf ball to the Dunlop DDH Deep Distance would be the Titleist NXT Tour. Both are rather ho-hum and since you cannot buy Dunlop golf balls anymore you’d have to go the NXT Tour or stay within the Sumitomo family with an XXIO or Srixon. My guess is I’ll never play another Dunlop golf ball again.